Pitras are basically our ancestors who are thrown into Pretha yoni or any other lokas and because of this they are sorrowful and extremely restless. They expect to be free (mukti) from that excruciating state through the karma of their successors. In Hindu tradition, pitras are understood to be more important to a person than any other devatha because they have blood relationship with their successors, and its responsibility of individuals to let their ancestors be free from all the restless cycles that they face after death. Pitras are considered equal to Gods as our body has come into existence because of our ancestors and that is why pitra dosha nivaran is considered one of the most important duties of an individual. 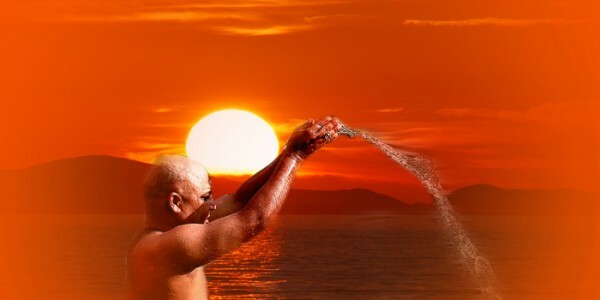 If your pitras will be satisfied and happy with your shraddha (actions offered during pitra dosha nivaran) then they will bring joy and happiness in your life and they will clear your path to success in all the possible measures of life. There are so many rituals of Pitra Dosha Nivaran and conducting them properly is very important. Pitra dosh is known as one of the biggest obstacles on the path to siddhi (success). Expected results and fulfillment in life is almost not possible if one has pitra dosh in their life. But Pitra Dosh should not be understood as a curse of the Ancestors because horoscope of a person is drawn and decided at the time of his birth and as per that any types of defects are decided at the time of his birth that also include Pitra Dosh. Types of Shradh associated with Pitra Dosh Nivaran: • Naag Bali Shradh • Narayan Bali Shradh • Tirpandi Shradh Pundits of Puja Yagya know all the Vedic rituals that should be followed during Pitra Dosha Pujas in USA. They conduct Pujas by including all the needed rituals, which let the souls of your ancestors be free from all the sorrowful materialistic cycle, which bring happiness and fortune in your life. We are easily available through our, and our telephonic consultancy is fully free.